Max Lab is a division of Max Healthcare, one of India’s largest Healthcare providers. At Max Lab, we are at the forefront of diagnostic technology, servicing emergency and critical tertiary care needs of more than 25 Super Speciality hospitals and multiple primary care healthcare providers. With an experience of over 70,00,000 samples tested annually, the laboratory benefits directly by catering to the patient with complex or rare cases and in interpreting unusual results. Max Lab network now expands to 600+ partners and services Patient Collection centres, Phlebotomist services to Physicians and Nursing Homes, Lab outsourcing services to Hospitals. Our Mission: To deliver Accurate Reports, Always! Laboratories play a very important role in a patient’s treatment cycle. 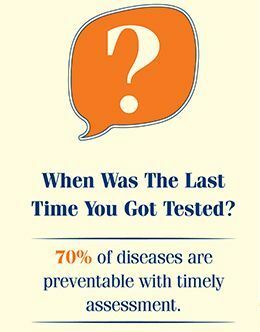 70% of the medical decisions rely on the tests conducted in a diagnostic laboratory. What enables us to deliver accurate reports? The labs are equipped with fully automated state-of- art technology and infrastructure to achieve the highest level of excellence. Our standardised processes and protocols, in-hospital presence and clinical interaction ensure stringent quality monitoring at our Labs. With over 550 highly trained staff and 70+ doctors trained in various sub-specialities at the best institutes, Max Lab boasts of having highly qualified scientific officers and doctors. Zero contamination QualiCare kitwith one-time use material like sealed needle, gloves, swabs and vials to ensure hygienic sample collection.